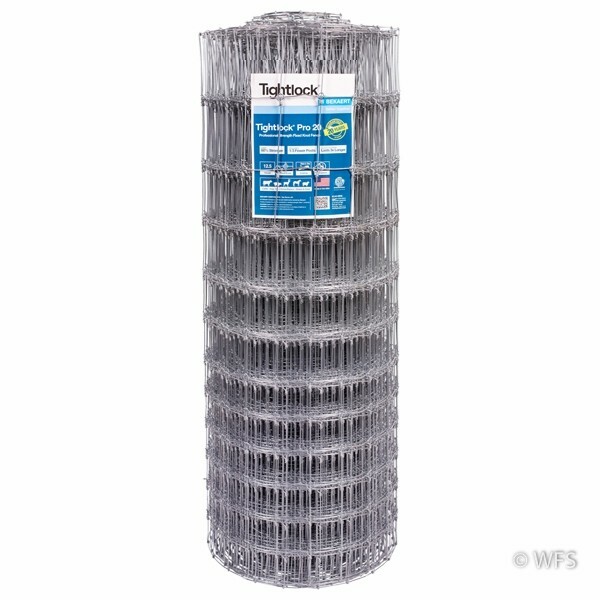 Fixed-knot woven wire, "Classic" Class 3, 20 year guarantee. 13 horizontals, 48" high, 3" between verticals, 100' roll. Bekaert high-tensile fixed knot woven wire is excellent for inclusion of almost all livestock as well as protection of crops and orchards from deer and other destructive critters. The one piece vertical stay wire firmly supports the horizontal wire with a "fixed knot" and eliminates the sagging of traditional woven wire. "Classic" Class 3 galvanized, 20 year guarantee. 12 1/2 gauge, 13 horizontal wires, 48" height, 3" vertical spacing. Available in 100' or 200' rolls.